Quinns: How is everybody? Like something out of Nathan Barley, I spent my Saturday night queuing for an hour to get into a dancefloor that was literally a room with no lights. It was well weapon. 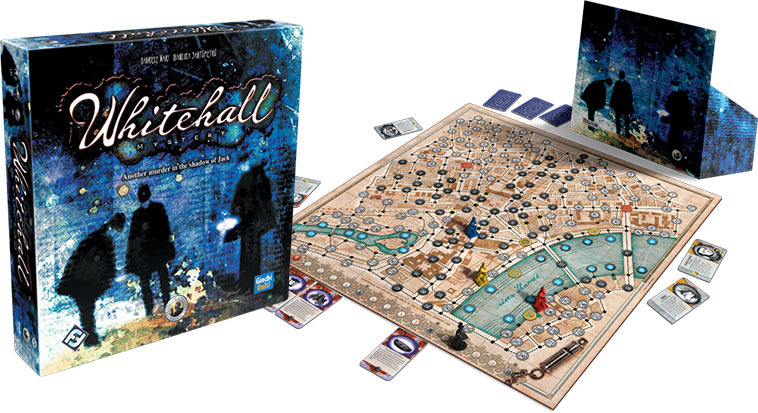 Board game news! 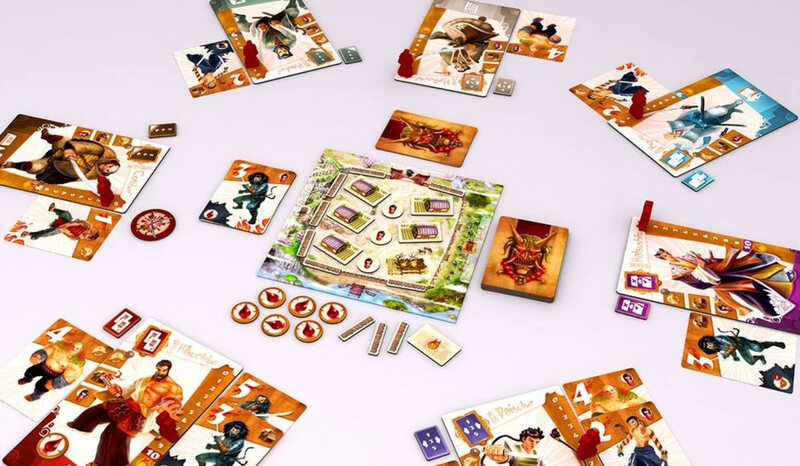 Forthcoming Antoine Bauza co-operative stress-fest Samurai Spirit takes the top slot with a publisher image of the finished game (seen above). It’s only now that I realise Samurai Spirit sounds an awful lot like a mashup of Antoine Bauza’s two other co-operative games, Ghost Stories, where you defend a village of a firehose-like stream of ghosts, and Hanabi, ostensibly a game of fireworks displays where players all hold their cards backwards, in practice a game where you win by following additional rules which the smartest player invents between games. We didn’t like Hanabi very much. Heresy, I know. I want to wreak a havoc!! Basically, each turn players are set upon by bandit cards, and must decide whether to fight the bandits off (thus charging their “BEAST FORM”), defend the village (stopping you all from losing), or let the bandit pass (allowing you to help a friend from dying). Except when the final boss shows up some of you need to have been selfish, because if none of you are in beast form he’ll make mochi of you all. 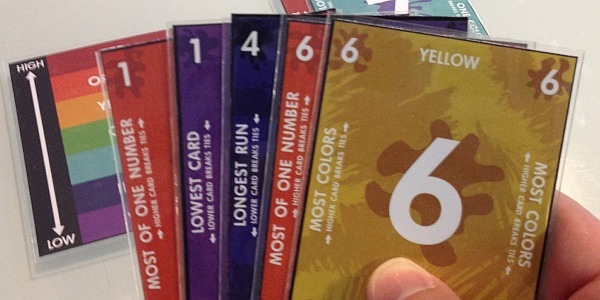 Those of you who preferred Hanabi’s gentle, numerical elegance might be interested in Colours, another upcoming release. I’ll be honest, this one sounds so similar to the universally poor life choice that is Fluxx that I almost passed it by. Then I noticed it was the work of Carl Chudyk, designer of Innovation, lapped at my pencil and whipped open a clean page in my tattered press notepad. 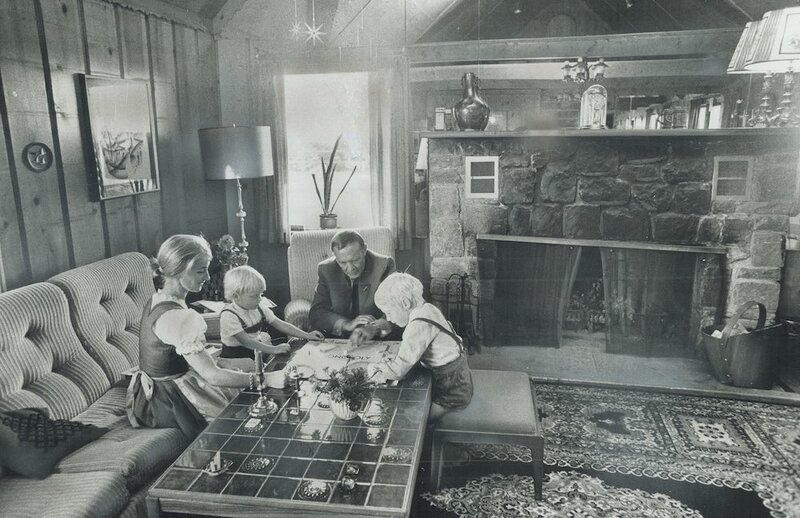 The game of Colours starts with everybody playing the game of “RED” and playing one card in front of them, knowing that the player with the lowest card will be eliminated that round. Everybody then gets one turn to play an additional card in front of them, or on your turn you can change the game you’re playing by discarding a card (so suddenly you’re playing for the longest run of numbers or lowest card), or do both these things and draw one card. So yeah, you’re still clinging to tactics in a game that’s ultimately a tornado of numbers and colours and possibilities. It sounds faster and more reasonable than Fluxx, but then so do most Soviet show trials. 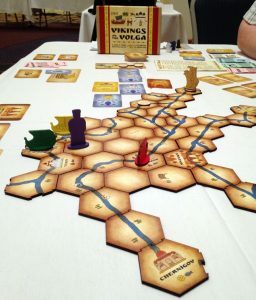 *In Vikings on the Volga, players take turns sailing down rivers, trading goods, bribing officials, and looting cities. Careful planning pays off, but when things go wrong you can always go a-viking. On your turn, you either move your ship (to buy and sell goods at cities), or you move the horde (to burn cities), or you move the prince (to rebuild cities). 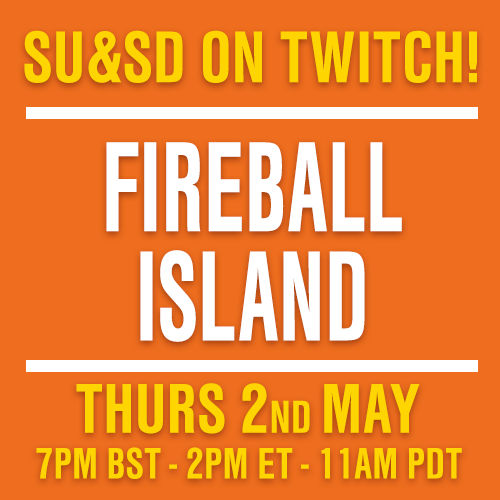 The three best things you can do in a board game, all in one place! Sold. I’m not actually sold. But if you are, Vikings of the Volga is self-published by the designer (who also did the art?!) and available for purchase here. Oh hot beans! This story just this second started overwhelming my Tweetdeck like an airborne infection. Is this what working on a real newspaper is like? I don’t like this at all. So, a couple of months back this Plaid Hat Games podcast had a discussion of what Risk: Legacy’s “legacy” mechanics, whereby the game evolves as you play it and you unlock new compartments in the box, would look like in other games. They discussed Pandemic. Then last month Risk: Legacy designer Rob Daviau and Pandemic designer Matt Leacock showed up at a California board game convention with a prototype of Pandemic: Legacy (player impressions here). And most importantly, what was just a single series of games with Seafall: Legacy is rapidly becoming a franchise. This writer hopes it can go on to become a movement. From mass infection to cheerful comedy, Dragon Run is yet another new release that looks kickass. Check out that box! Well weapon. On each turn, a player can either advance boldly, flee cautiously, or cry like a baby. If you advance boldly, you draw a card from the location deck, which holds three types of cards: one that allows that player to either redraw or stop, one that grants new treasure from the treasure hall, and (of course) the dragon. If you draw the dragon, you lose one health point (out of two), the dragon calms down (i.e., it loses one temper point), and the location deck is reshuffled. If you’re injured twice, you die and are out of the game. Crying like a baby! Instant death! I’ll also point out that players all have different powers. The thief may steal from other players, the cleric may heal them in exchange for a treasure, etc. The best part of that sentence? “May”. I want to see a game of bitter feuds, breathless deals and charred corpses. This is such cool news. As a result of our Megagame Special Episode, wherein team SU&SD joined 40 other players to control Japan during a global alien invasion, some folks are bringing Megagames to America! 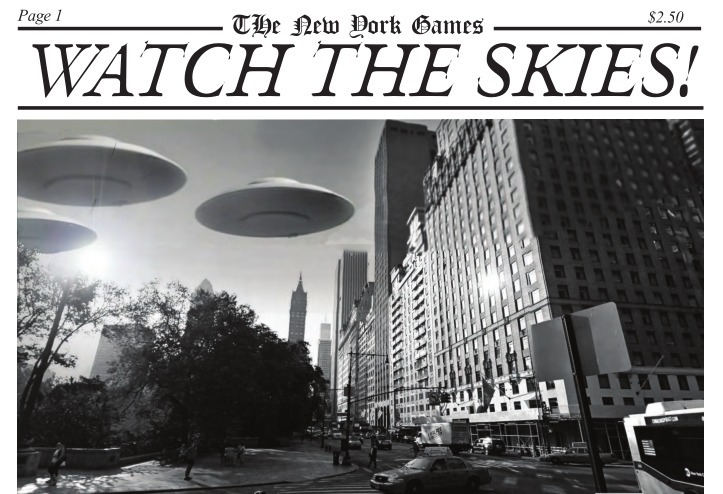 Another game of Watch The Skies will take place in New York City this July. 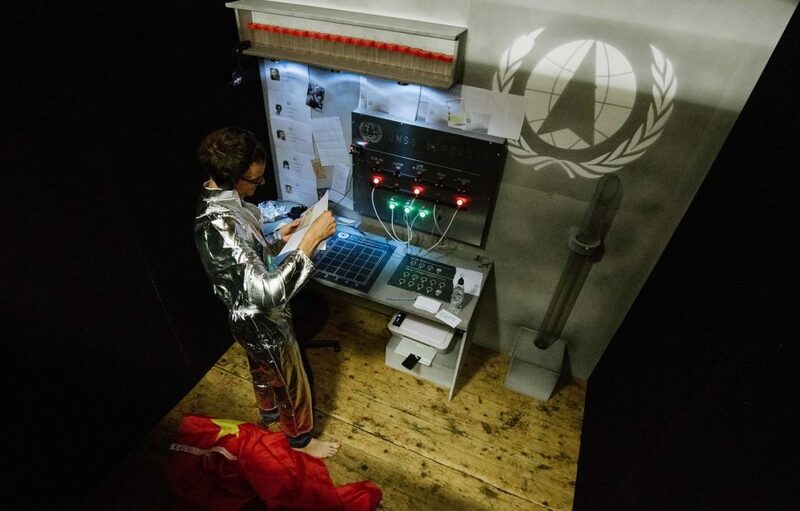 At the time of writing there are 26 player tickets and 7 gamesmaster tickets left, and the people behind it have stated that they’re working with the original designer to provide a “unique experience”. Meaning they’ll change all the bits we spoiled. Erm. Have a lovely week, everbody!